Following today’s full reveal of Avengers: Age of Ultron‘s Vision, we also have first looks at The Thing from this summer’s FANT4STIC (Fantasic Four) and the villainous Yellowjacket from Marvel Studios’ Ant-Man. 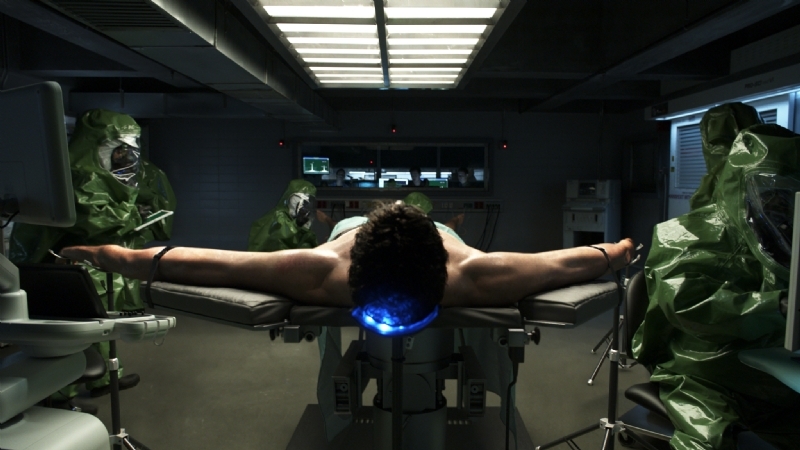 Jamie Bell plays Ben Grimm and then the Thing; the later using CGI mo-cap technology used to create characters like The Hulk. Bell has quite a bit of mo-cap experience, playing the title character in Steven Spielberg’s CGI film The Adventures of Tintin. 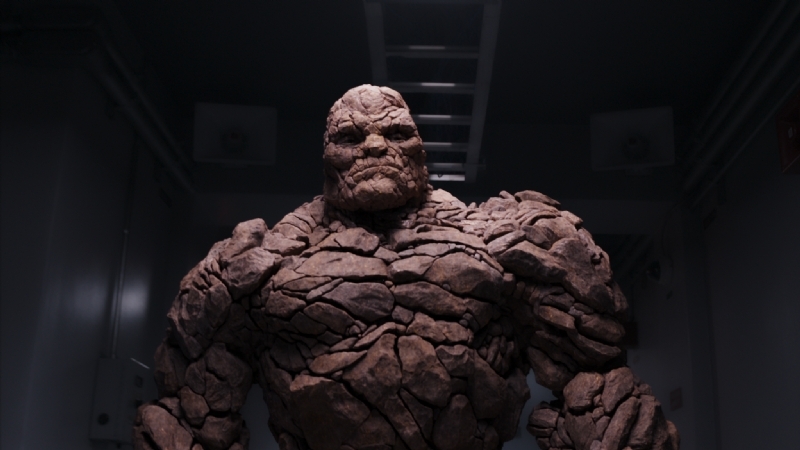 Doesn’t that look better than Michael Chiklis’ rubber rock costume from 2005’s version of The Fantastic Four? The answer is yes. Yes it does look better, Nick. Before we move onto our first official look at Ant-Man‘s Yellowjacket, here are two new other stills of FANT4STIC from Empire Magazine. 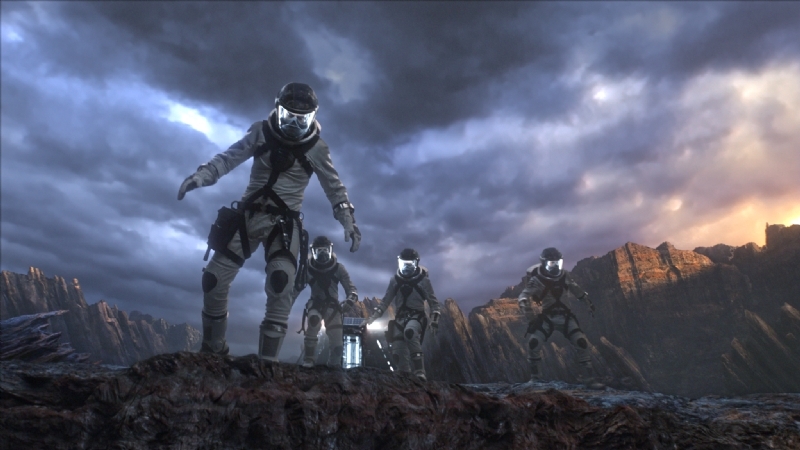 These new pics continue the creepy Sci-fi/nearly-Horror vibe established in the trailer. A trailer that has turned one of my least favorite hero teams into a movie I can’t miss! 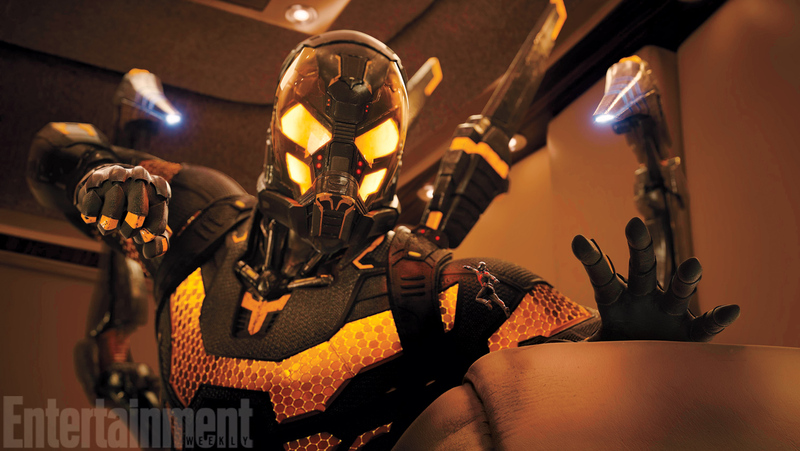 Now, without further ado, Entertainment Weekly has, in addition to their new Avengers: Age of Ultron cover, the first official look at Ant-Man’s nemesis, Yellowjacket. Previously we had a drawing of Yellowjacket, but here he is in full live-action/CGI form! Notice that he’s full sized, whilst our hero Ant-Man is throwing a very miniature punch. Marvel’s Ant-Man arrives July 17th, with Fox’s FANT4STIC following in August. I’m sure we’ll see plenty of marketing for both, especially with Avengers: Age of Ultron right around the corner! Previous Get Your First Full Look at AVENGERS: AGE OF ULTRON’s Vision! Next Jared Leto Gives Us A Sneak Peak of His Joker… KILLING JOKE Style!